Art as a window into another world is the sincerest sort of pun. Throughout the ages, artists have referenced windows as a paradigm for summarizing the notion of reality. In the late 19th and early 20th century windows seem to resonate potently as a symbol of modernity and the shift in notions of public (exterior) and private (interior) life. The flâneur, both participant and observer, serves as the archetype for this moment in history, and the major shifts in the way people could function in the world. Today, social media symbolically replaces the literal window as an intermediary space in denoting interior and exterior lives and most people are engaged as both participants and observers simultaneously. As our lives become more public, public 'reality' is also increasingly curated, and therefore our perceived realities of each other and even ourselves are a curated personal mythology, blurring the lines between public and private life even further. Presenting works in photography, sculpture, video and painting by; Shara Hughes, Elizabeth Jaeger, Meredith James and Annie Thorton, Finestra Aperta reconciles the psychological space between public and private narratives and how we self­surveil in relation to each of our personally crafted, surreal windows. Window Loop by Meredith James underscores the fallibility of observation. Literally, a window serves as an intermediary space often as the guardian to one’s private world, highlighting what is inside and what is outside, and allowing for controlled exchange. Acting in the role of both observer and the observed, (by acting in and filming the video) James playfully links these experiences together, questioning perception through the interaction of theater and video within a surveillance footage­style self portrait. Elizabeth Jaeger's sculptures bend toward a surreal space that stops short of disillusionment. The positioning of the vases within their stands indicate a literal slipping through of their own reality or stability. As a stand in for the body, the phenomenology of Jaegers’ pieces ask the viewer to be immediately aware of one's physical self. Both intense and banal, these anthropomorphic features, at the same time reference cherished relics from times past, suggesting a narrative that isn’t really there. These works are reminiscent of the fictive nature of art and, in tandem, the taboo nature of experiencing genuine emotion in today's culture. Intelligence is ubiquitously aligned with snark, sarcasm or irony rather than real feelings and Jaeger presents a loathing in each, Untitled sculpture’s simultaneous potential and lack of. 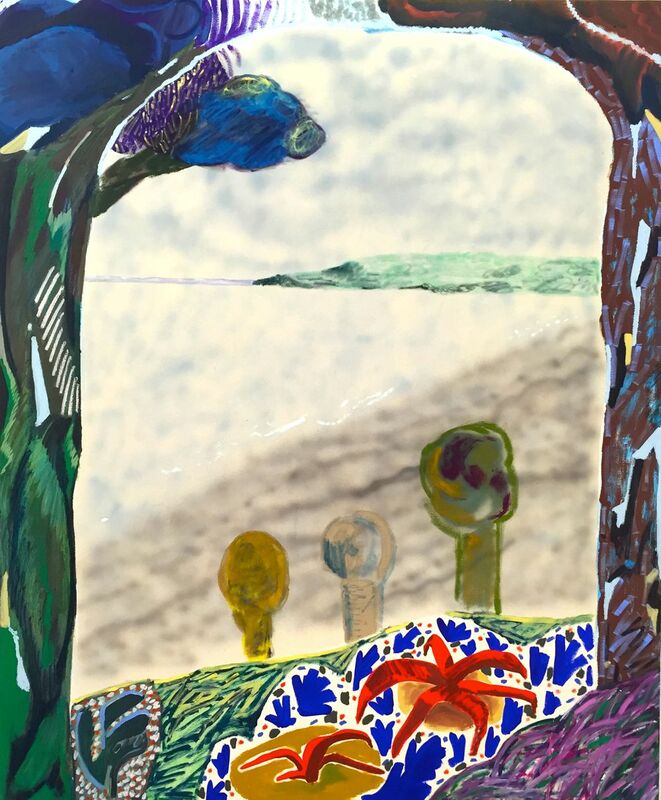 Shara Hughes’s paintings place the viewer at a high vantage point within technicolor boundaries that clearly denote the space of entry as different or separate from the landscape below. In four of Hughes’s five paintings, scale alone is a visceral indicator. The border acknowledges one’s body, and acts as a repoussoir device, pushing the viewer into the landscape unfolding in the distance. One can read the space as looking out from a room into surreal landscapes denoted by form as well as a textural shift in medium and its application. In her five paintings, Hughes presents a dream­like landscape as an exterior world that falls short of reality. 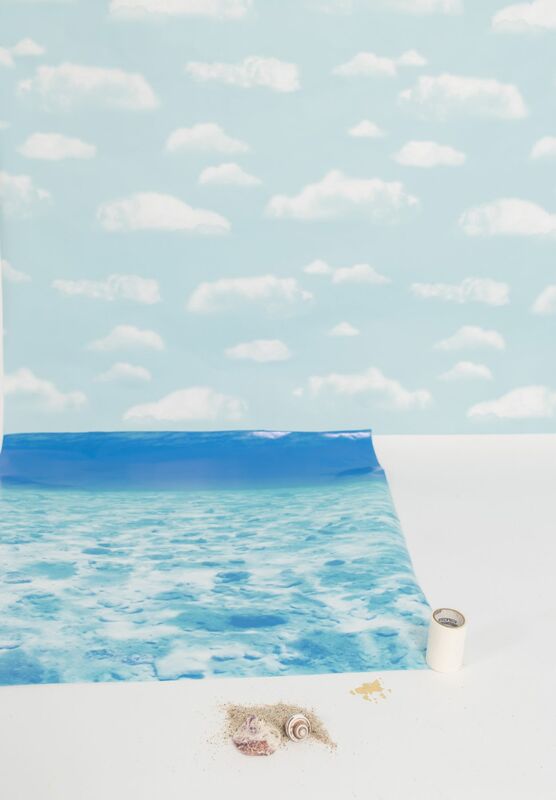 Fictive pictorial space is central to Annie Thorton’s photo­based assemblages. These digital collages of layered images and drawings are sincere in their conception of reality. The artist composes autobiographical photographs alongside found images in Photoshop. The outcome of these social and personal still lifes exemplifies both additive and subtractive methods, just as she draws parallels between the social world with her found images and her personal realm with her family portraits. The conflation of an interior versus exterior viewpoint is most clearly displayed in her assemblage of chewed gum, comprised of 25 versions of gum chewed with friends and moulded into sculptures. A photograph is a window but also an edited lie. 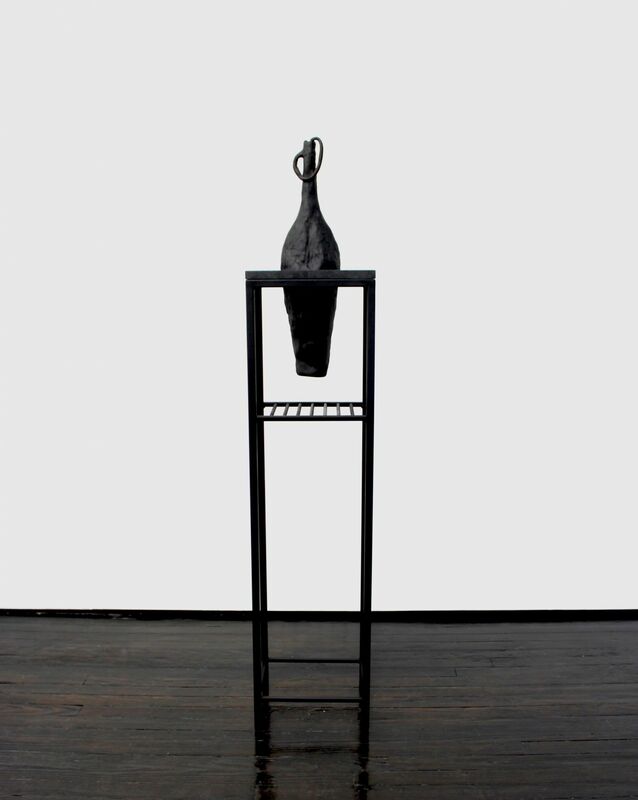 Thorton's work pulls from an autobiographical trove of objects and people. A direct portrait would be too limited and so the artist assembles various elements that define her life and those closest to her through several viewpoints. In these works a cream colored background unifies the different aspects like thumbnails from a google­image search. The familiarity of these compositions, at the same time identifies a unique experience and the impossibility of that idea. The presence of windows have long been a symbol for technological and scientific innovations. Alberti’s original sentiment of the finestra aperta or open window, claimed that artists translated the outside world onto canvas. The vast experience of life today cannot be captured by draftsmanship alone. The prevalence of cameras and image­making by the masses does more than enough to record most of our daily lives, transforming us all into participants and observers as we feel our way through the shared and private self and the radical fluidity between these two increasingly psychological places. Shara Hughes (b. 1981) lives and works in Brooklyn, NY. Recent solo exhibitions include Far Out at American Contemporary, Midnight Snacks at Institute 193 in Lexington, Kentucky and Guess You Had To Be There at MOCA in Atlanta, Georgia. Hughes' work was also exhibited in Don’t Tell Anyone But... at the Atlanta Contemporary Arts Center, See Me Seeing Me at American Contemporary and Shara Hughes, Drawings at Metroquadro in Rivoli, Italy. This year Hughes also participated in Tiger Tiger at Salon 94, New York Configurations at Coburn Projects in London, Sprawl at the High Museum of Art in Atlanta, Abstract Horizons at Gredier Contemporary in Zurich, Spirit of the Dead Watching at Devening Projects in Chicago and Pat Berran, Melissa Brown, Andy Coolquitt, Stacy Fisher, Shara Hughes at MASS Gallery in Austin, Texas. Previous exhibitions include Translated Cities at Shirin Gallery, Sculptures and Works on Paper at Mikael Andersen Gallery in Berlin, Bathers at Morgan Lehman Gallery, Genius of Love at Brian Morris Gallery and Billedstorm at Mikael Andersen Gallery in Copenhagen. Other exhibitions include I Know This But You Feel Different at Marc Jancou, One Giant Leap: Work from the Saatchi Gallery at the Hyatt Regency, The Churchill in London, Crushed Candy at David Castillo Gallery, Miami and Diamonds in the Crows Nest at Parlour No. 15. She received her BFA from Rhode Island School of Design in 2004 and her MFA from the Skowhegan School of Painting and Sculpture in 2011. 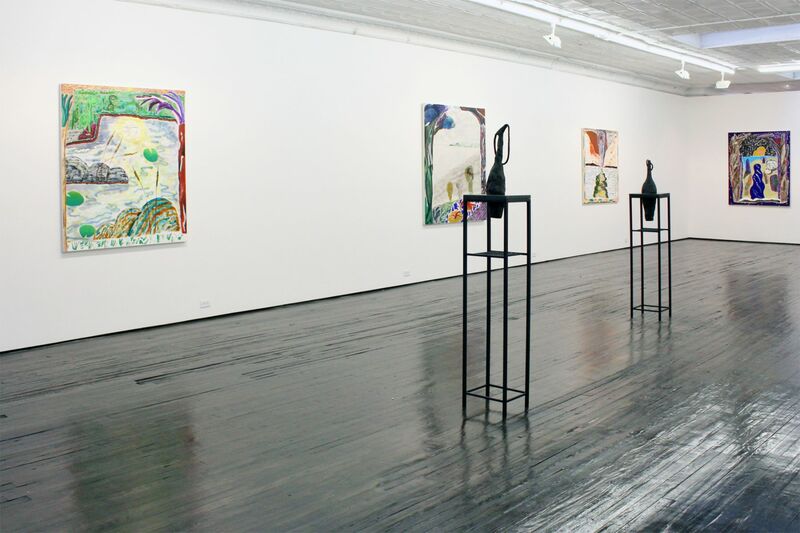 Hughes has received numerous accolades and residencies, most notably from the Atlantic Center for the Arts Residency in New Smyrna Beach, Florida, Working Artist Project at MOCA, Georgia and Skowhegan School of Painting and Sculpture. She has exhibited across America and internationally, and recently received the Fellowship Award from Vermont Studio Center and the Florence Leif Painters Award from the Rhode Island School of Design in Providence, RI. Elizabeth Jaeger (b. 1988, San Francisco) lives and works in Brooklyn, NY. 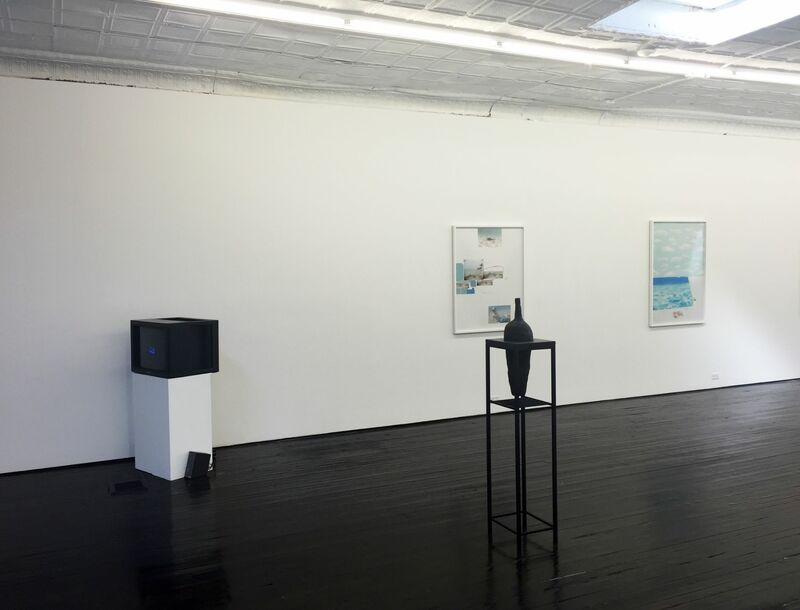 Recent solo and two-person exhibitions include Elizabeth Jaeger at And Now, Dallas, Six-Thirty at Jack Hanley Gallery and Music Stand at Elil Ping, New York. Most recently, the artist participated in Greater New York at Museum of Modern Art PS1, Elizabeth Jaeger, Ann Greene Kelly, Aidan Koch at And Now, Dallas, Weird Science curated by Aniko Berman at Marianne Boesky Gallery and Le musée imaginaire at Galerie Lefevbre & Fils, Paris, Close to the Skin curated by Lumi Tan at Company and Dirty Linen at the DESTE Foundation in Athens. 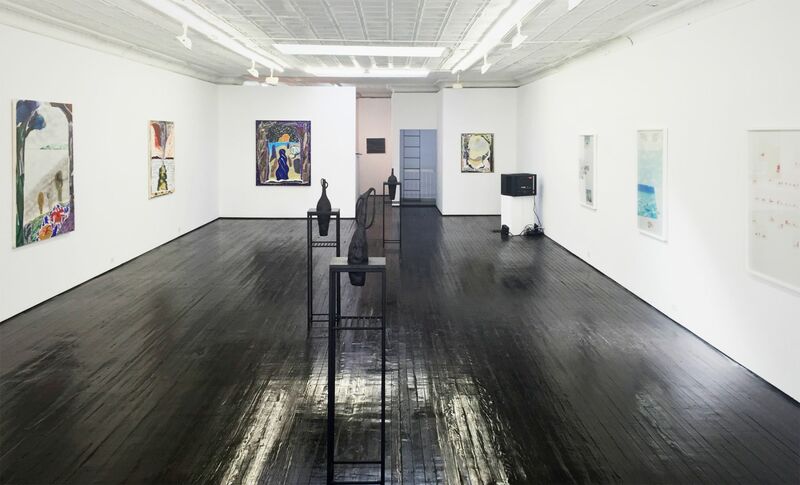 This year, Jaeger also participated in Night Shade: Dean Levin, Eli Ping, Elizabeth Jaeger at KINMAN, London, Stirring Still at The LeRoy Neiman Gallery, Columbia University, New York, and Vis-a-vis curated by Michael Mahalchick at Andrew Edlin Gallery, New York. The artist has also participated in Got Tortilla with Butter on Phone. Think it’s the End? curated by Mikkel Carl at Rod Barton, London, Buying Friends: The Kortman Collection at Urban Institute for Contemporary Arts in Grand Rapids and Border Patrol curated by Jesse Greenberg at Loyal in Malmo, Sweden. Jaeger has exhibited across America and internationally, and published works include Eros C’Est La Vie (Totem, 2013) and How Other People See Me (Publication Studio, 2011). Additionally, Jaeger co-founded and operates Peradam with Sam Cate-Gumpert, a publishing house specializing in artists’ books. Meredith James (b. 1982) lives and works in New York. 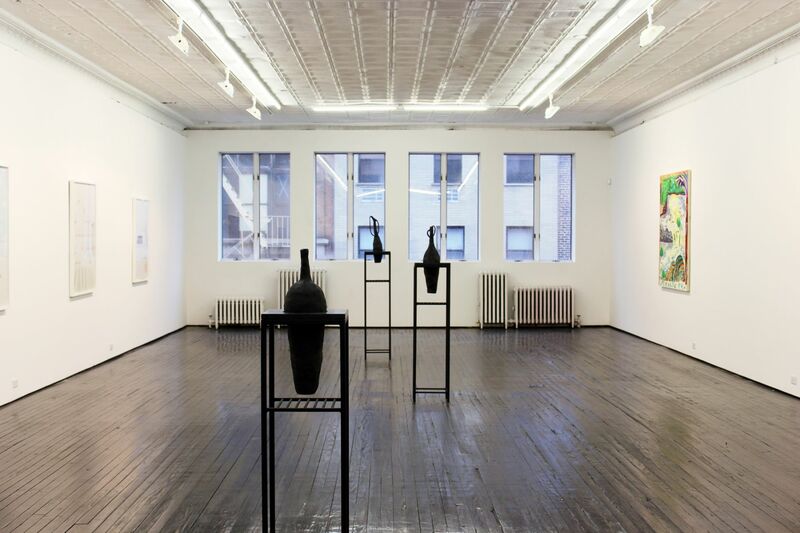 Recent solo and two-person exhibitions include Land Lock at Jack Hanley Gallery, The Invention of Morel Pages 89-91 at LaMontagne Gallery, Boston and Espalier at Marc Jancou Contemporary, New York. This year, the artist participated in Catalyst: New Projects by Meredith James, Kameelah Janan Rasheed, and Casey Tang at the Queens Museum, Jane Corrigan, Meredith James, Gloria Maximo, Dasha Shishkin at Feuer / Mesler, New York and The Numbers Don’t Lie at 247365 in Brooklyn. Last year James exhibited in EAF14: Emerging Artist Fellowship Exhibition at Socrates Sculpture Park in Long Island City and Play curated by Ragnheiour Gestsdottir and Emily Weiner at Soloway in Brooklyn and The Living Art Museum in Reykjavik, Iceland. Recent exhibitions also include Videonale 14 at Akademie der Künste der Wellt in Cologne, Germany, The Double at Cabinet in Brooklyn and LAXART in Los Angeles as well as Experiment at the Institute of Contemporary Art, Boston. She received her BA from Harvard University in 2004 and her MFA from Yale University in 2009. James has exhibited across America and internationally, and this year she received the Queens Museum/Jerome Foundation Fellowship for Emerging Artists. James has received numerous accolades and fellowships, most notably from Skowhegan School of Painting and Sculpture in New York, The Bemis Center for Contemporary Arts in Nebraska, Abrons Art Center in New York and Socrates Sculpture Park in Long Island City. Annie Thornton (b. 1985, San Francisco) lives and works in Los Angeles. Recent solo and two person exhibitions include Dramatizations at The Study in New Haven, CT and California Family at the Jackson Street Gallery in San Francisco. Thornton’s work was also exhibited at Lovely Dark, curated by Jack Pierson at Regen Projects in Los Angeles, Danziger Gallery and Yale University Art Gallery in New Haven. Previous exhibitions include Native Thinghood at The Cube in Los Angeles and Home Sweet Home at THIS Gallery in Los Angeles. She received her BA from Hampshire College in Amherst, MA in 2008, her MS from University of Southern California in Los Angeles in 2011 and her MFA from Yale University School of Art in 2015. Thornton received the Student Fine Art Series Nomination from the New York Photo Awards in 2008.